Xantrax diet tablets are just one of several weight loss products produced and marketed under the Naturopathica brand name. As well as being a weight loss enhancer, the tablets are also designed to act as pre-workout formulation, but the marketing methods used show no bias toward any particular user group. The official product website has a dynamic look and feel, but the thing that stands out above all else is the lack of information it provides about how the tablets are supposed to work or why specific ingredients were chosen. 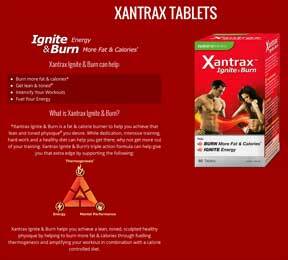 Xantrax tablets are basically just a combined appetite suppressing and fat burning pill that has had its energy providing abilities enhanced by the addition of extra stimulants such as bitter orange, guarana, and mate. The Xantrax formulation contains 18 ingredients and all inclusion rates are provided, but it’s not a particularly impressive combination and would be all the better if some of the weaker blend constituents were removed in favour of one or two more powerful ingredients, included in adequately potent quantities. Coffea Canephora stands out as being a potentially good ingredient. It provides chlorogenic acid and it has proven abilities both as a metabolism booster and as a thermogenic fat burner. Green tea has similar abilities, but with an inclusion rate of just 2g its addition here seems almost pointless. The blend also contains several B-vitamins. These are a common addition to weight loss blends because they smooth the metabolic processes and help the body use calories more efficiently. 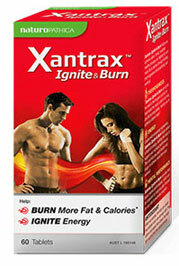 Xantrax also contains a number of stimulants, not least caffeine. It can provide extra energy and boost concentration levels, but it can also cause jitters and other unpleasant side effects. As far as side effects go, however, citrus aurantium is the most worrying inclusion. It can speed up the heart and cause heart attacks and strokes, so it is something of a relief that the inclusion rate here is so low. Customer feedback is mixed. Many customers say the tablets work. Many say they do not, and a number of customers state they experienced nasty side effects. The recommended dosage is unclear. The official website states two tablets should be taken 30 minutes before eating a meal or commencing a workout, but fails to state how many doses are required each day. 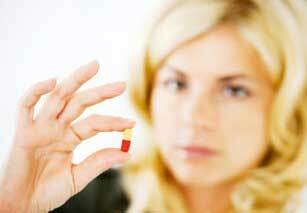 However, the “warning” information states a maximum of six tablets may be taken per day. Some of the ingredients can cause side effects and several customers claim to have reacted badly to the product, so all potential users are advised to talk to their doctor before giving serious consideration to Xantrax as a weight loss aid. Xantrax cannot be purchased from the official website, but the product is stocked by a number of reputable online stores, including Chemist Warehouse. The RRP for 60 tablets is AUD$ 49.95, but Chemist Warehouse usually offers significant discounts. We base our recommendations on several criteria: effectiveness and safety is a major part it – but we also look at the reputation of the company behind the product and how they deal with customer service issues. Re-order rate is also a major factor, customers tend not to re-order dud products.